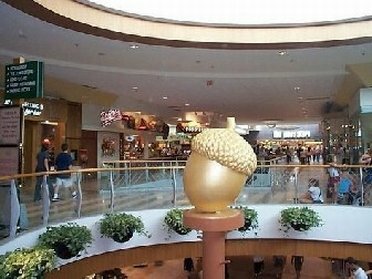 Park City Mall is a huge, upscale shopping mall, with anchor stores of Boscov's, Sears, JC Penney's, Kohl's, and Bon Ton. This two-level mall makes a big cross, with the anchor stores on the end of each cross. Park City Mall dining includes the following restaurants: Damon's Restaurant and Clubhouse, the Food Court, the Long Horn Steakhouse, the Olive Garden, Odoba Mexican Grill, and Romano's Macaroni Grill. Park City Mall is open for shopping Monday through Friday from 10:00 in the morning till 9:00 in the evening, on Saturdays from 9:30 am - 9:00 pm, and on Sunday from 11:00 am till 6:0 pm. Park City Mall is located conveniently between Highway 30 and Highway 283. The mall also features kiddie rides, a Build-A-Bear Workshop, a Community Room and a Children's Play Area.